May 6, 2012 - Doyle Latimer, 55, and his wife, Cynthia Latimer, 57, both from Elgin, Oklahoma, pled guilty to conspiracy to steal military-owned jet fuel and to defraud the United States, announced Sanford C. Coats, United States Attorney for the Western District of Oklahoma. The United States government purchases jet fuel (Jet Propellant 8, or JP-8) from fuel depots in Oklahoma City and Wynnewood to supply the jet fuel needs at various military bases, including Altus Air Force Base, Tinker Air Force Base, and Sheppard Air Force Base. JP-8, or JP8 (for "Jet Propellant 8") is a jet fuel, specified and used widely by the US military. It is specified by MIL-DTL-83133 and British Defense Standard 91-87, and similar to commercial aviation's Jet-A. A kerosene-based fuel, JP-8 is projected to remain in use at least until 2025. Latimer Trucking, LLC (?Latimer Trucking? ), owned and operated by Doyle Latimer, transported the JP-8 for the military and picked up JP-8 jet fuel from the fuel depots for delivery to the air force bases. Cynthia Latimer was employed by Latimer Trucking in the office and kept the business records. Based on information in court records and from the plea hearing, Doyle Latimer admitted that from 2001 through 2007 he stole JP-8 jet fuel belonging to the United States and intended for delivery to military bases by draining it from the tankers and using it to operate his trucks. He further admitted that he knew his wife was creating false fuel receipts to cover-up the use of the JP-8 jet fuel in operating his trucks. 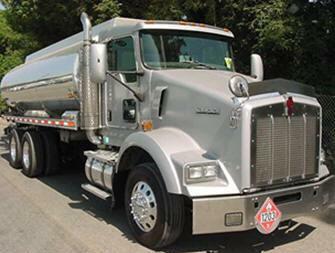 Cynthia Latimer admitted to conspiring with her husband to cover-up the theft of JP-8 by preparing false fuel receipts which appeared to document legitimate diesel fuel purchases for Latimer trucks when, in fact, there had been no purchase of diesel fuel. In carrying out this conspiracy, the Latimers were able to reduce the costs of their daily trucking operation. The Latimers were indicted on December 13, 2011, and charged with one count of conspiracy to defraud the United States. Doyle and Cynthia each pled guilty today to the single count. At sentencing, the Latimers each face up to five years in prison and a fine of $250,000, plus mandatory restitution. A sentencing hearing will be set by the court in approximately 90 days.